Comment: I would like to get an estimate for getting insulation replaced. I am wanting fiber glass. Approximately how many square feet is the attic? : 500 - 1000 sq. ft. Comment: New home owner and need attic insulated and I would like for the plywood to be applied so I may store items in the attic. Comment: Need someone that can insulate garage that is already finished. Chesapeake Insulation Contractors are rated 4.55 out of 5 based on 182 reviews of 4 pros. 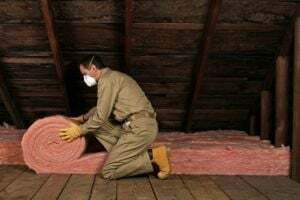 Not Looking for Insulation Contractors in Chesapeake, VA?